EN-GJL-200 is a low grade of grey cast iron according to Germany standard DIN EN 1561, it can also be written as EN-JL1030, 0.6020 or GG20 according to new standard DIN 1691. This material has equal cast iron grades in other countries, such as HT200 in China, FC200 in Japan, ASTM A48 No.30 in USA, G20 in Italy, FGL200 in France, T220 in Australia, O120 in Sweden or ISO 200. The minimum tensile strength of en-gjl-200 is 207 Mpa, it's elongation is larger than 5.1, hardness range is from 187 to 241 HB. According to the ASTM and GB standards, the tensile strength is the inspection specification to judge the material. The elongation is only for reference. The clients have right to stipulate the hardness range according to their application. Normally, the production does not need heat treatment. The chemical components of en-gjl-200 grade include C: 3.10-3.40%, Si: 1.90-2.30%, Mn: 0.60-0.90%, P ≤ 0.15%, S ≤ 0.15%. CE: 3.90-4.15. This is just an experience data. According to the related standards, the mechanical properties are the inspection standard. The iron foundries can adjust the chemical components according to their own experience. 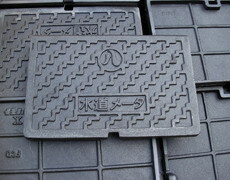 GG20 grade grey cast iron has very wide application in residential and industrial fields. It can be used to produce castings with moderate load, such as the base, frame, box, knife, bed, bearing seat, table, wheels, cover, pump, valve, pipe, flywheel, motor blocks, and can also be used for making castings withstand greater load and a certain degree of tightness or corrosion resistance, such as cylinder, gear, base, flywheels, bed, cylinder block, cylinder liner, piston, gear box, brake wheel, coupling Plate, medium pressure valve, etc. 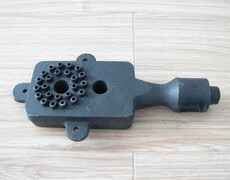 In China, most of iron foundries can produce this grade iron castings.